The campaign's goal is to help Mexican people with limited resources travel within the country economically, so they can discover its wealth of tourist sites, culture, beaches and natural beauty. Guadalajara, Jalisco, Mexico - During the inauguration of the Tianguis Turístico Mexico 2016, which was held this week at Mexico's largest convention center, Expo Guadalajara, President Enrique Peña Nieto unveiled the national Viajemos Todos por México ("Let us all travel through Mexico") campaign. He explained that the movement's goal is to help Mexican people with limited resources travel within the country economically, so they can discover its wealth of tourist sites, culture, beaches and natural beauty; and thus feel proud of their Mexico. 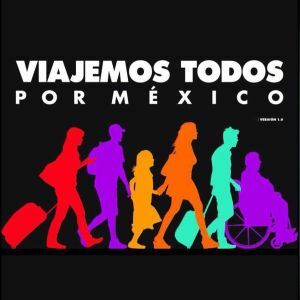 At the event, the head of Mexico's Ministry of Tourism, Enrique de la Madrid Cordero, said that, despite a 37% increase in tourism (equivalent to 32 million foreign visitors) over the past three years, the fact is that there are seasons in which air and bus travel diminishes and hotel rooms are empty. "Every year there are nine million empty airline seats, 200 million empty bus seats, and 93 million hotel rooms that are left unoccupied - all this despite the record occupation rates over the last three years," he said. The purpose of the program is to take advantage of the existing infrastructure that is being under-utilized, and in this scenario, the President invited travel agencies and service providers to continue working hand in hand to consolidate the internal market, as 88 of every 100 pesos generated in the tourism sector come from domestic tourists. "The Viajemos Todos por México program is a movement that integrates various sectors of the tourism industry, so we are calling on all travel service providers to participate because it is they who can offer preferential rates to Nationals in the off seasons," the President said. "We are a tourist power. 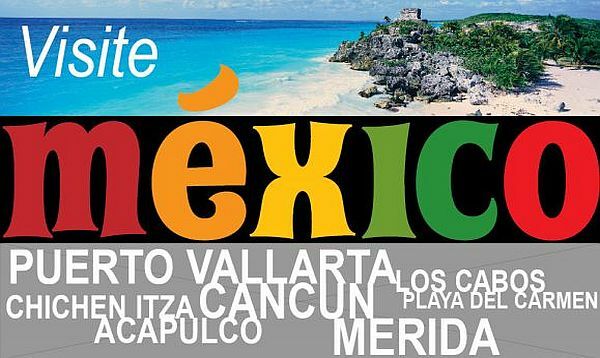 Every year, Mexico is one of the world's most visited tourist destinations. There are many reasons and many arguments about why Mexico is advancing; and one of them is our tourism sector. This is accomplished not just by public policies, but with the participation of private initiatives, and I mean not just hoteliers, but all who are involved," Peña Nieto added.